Week 31 saw yet another twist in the Serie A title race, as Juventus, at one point finding themselves four points behind A.C. Milan in second place, not only reduced that deficit, but overturned it. The rejuvenated Turin club’s routine 2-0 victory over Palermo in Sicily coincided with Milan’s shock 1-2 home reverse against relegation-battlers Fiorentina, sending them a point clear of their rivals as the season enters its final seven fixtures. Since the end of the winter break, with the focus lying on referees, conspiracies and plain-old scintillating displays from the two Scudetto contenders, an intriguing battle for third place, and the final qualification berth to the Champions League, has somewhat unfairly been relegated to the back of followers’ minds. As derived from this writer’s opinion, only one club deserves to claim that spot, not so much for its results this season as for their long-term ambitions and potential. The battle for Serie A's final UEFA Champions League spot heats up. The 3-1 victory for Lazio over fellow-challengers Napoli restored some rightful luster back to the qualifying race for Europe’s premier club competition, highlighting the unpredictability of Italy’s top flight and its sheer competitiveness. Once thought to be Udinese’s for the taking, they have now been joined by the afore-mentioned challengers as well as A.S. Roma, and it is a combination of the project that the American-owned club are undertaking as well as the deficiencies of the other challengers that makes the Giallorossi, however unlikely it will happen, ideal takers for that spot. The Romans, in an attempt to expand a greater global standing to the sporting department that was first introduced during the American takeover of the club by Thomas R. DiBenedetto, a partner with the American Fenway Sports Group, promptly replaced the previous season’s interim coach Vincenzo Montella with Luis Enrique. A former F.C. Barcelona Youth Team coach, Enrique has drawn heavily on his time in Spain by attempting to implement a tiki-taka style of attacking football to his side, with mixed results. 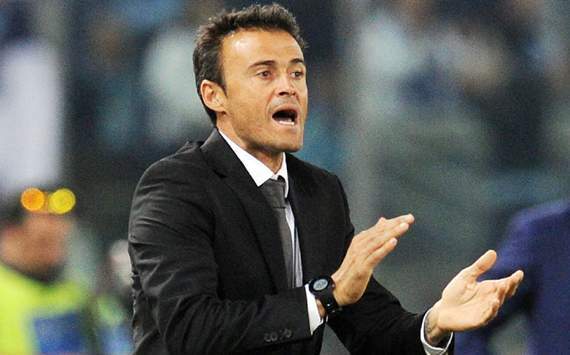 Luis Enrique has attempted to change the way Roma play with mixed results. Their up-and-down form currently sees them occupy sixth-place, seven points behind bitter rivals Lazio in third. Despite criticism that their dominance of possession with little end result has been labelled as aimless, Enrique has largely managed to get the squad playing to his ideas, with only the odd-hiccup such as their 4-2 loss to Lecce on Saturday night threatening to derail their bid for Europe. The club nonetheless has exuded a surprising calm and patience with Enrique, portraying an ideal modern example to the rest of Italian football on how sustainable coaching can be achieved, something Udinese and Napoli have also implemented to their credit in recent times. The new club board has likewise showcased its ambition by making the expensive acquisitions of Miralem Pjanic, Erik Lamela and Pablo Daniel Osvaldo, also promising more high-profile names in the future. What separates Roma from arguably its closest counterpart, Napoli, is that while both clubs share the same passion in adopting a long-term strategy to boost their club profile season by season, Roma have as much as double the resources than those at Napoli’s disposal, making it that much easier for the capital side to execute their ideas, at twice the speed. Both sides are not yet the finished article, but give it a season or two more, and Roma will find themselves going head-to-head with Italy’s and Europe’s elite on an equal footing. Napoli's humbling at the hands of Chelsea was a sharp return to reality. Napoli have performed with surprising aplomb in their maiden appearance in the Champions League, with Aurelio De Laurentiis having led the Southerners on a meteoric rise since their time in Serie C1.They rode their luck and gave as good as they got against Bayern Munich and Manchester City, but ultimately proved heart, spirit and courage was not enough to cut it against the riches of Chelsea, falling out of the competition at the hands of the London side. Their struggles to sustain the massive physical efforts of playing in three competitions at once, most notably in the league, suggest they still have some way to go before they can be considered a top club, despite the talented players at their disposal. Lazio and Udinese remain selling clubs at the moment, Lazio especially showcasing an alarming ability to self-destruct. After struggling to win the support of the club’s fans, coach Edy Reja then suffered a tempestuous falling out with club owner Claudio Lotito over the club’s moves in the January transfer window, making it far from the ideal environment a coach can do his best work in. Support in transfer markets has not been too forthcoming, and Lazio are expected to eventually lose key players Senad lulic, Hernanes and Stefan Radu in the not-so-distant future, having already seen Goran Pandev, Aleksander Kolarov and Stephan Lichtsteiner depart. Udinese too have suffered from inconsistency in the second part of the season, as the summer sales of Gokhan Inler, Christian Zapata and Alexis Sanchez begin to be felt. No spite intended here, but these European contenders have been winging it for the past few seasons; clearly not enough if Serie A is to remain categorized as one of Europe’s top leagues much longer. Udinese and Lazio have not performed with the consistency to be dubbed any more than placeholders. If Roma can learn to translate their attractive football into results, a place in the Champions League will remain an achievable target. Do not judge them based on this season’s results; there is more to them that meets the eye. While Napoli, Lazio and Udinese have been enjoying the past couple of seasons and Roma apparently feeding on their scraps, the balance of power in football can shift in the blink of an eye with lavish support from the board, the right acquisitions, and a policy of patience to allow the coach time to implement his ideas; look no further than Juventus this season. Make no mistake, the Lupi will be back with a vengeance.